Counting calories can help you identify weak links in your diet. Learn how and when to calorie count without going crazy. Few topics generate more debate then whether counting calories is an effective strategy for long-term fat loss. The anti-calorie counting camp says that obsessing on calories alone can cause people to ignore the nutritional composition of their diet, and continue to eat unhealthy even if they are eating fewer calories. Theyll also point out that counting calories accurately and consistently can be a tedious and time-consuming activity, and may actually de-motivate people to eat healthier. The pro-calorie counting side, advocates will point out that without having a good idea of how many calories you are consuming each day, it can be difficult to lose fat and avoid hitting fat loss plateaus later on. And because most people underestimate how many calories they are actually eating, counting calories can help provide a reality check. So what should you do? Count calories or not count calories? Both groups make valid points. If all you look at is the total number of calories you eat each day, you can find yourself falling into the trap of eating empty calories. For example, lets say your target is 1500 calories a day. Your look at your total calorie count at the end of the day and feel pretty good about yourself. You ate 1500 calories. The problem is the calories were made up of soda, pizza and potato chips. You end up feeling hungry at the end of the day, youre grouchy, your energy levels are low and you still look flabby and unfit. Contrast this against another person who at the same amount of calories, but their diet that day was made up primarily of fresh fruits and vegetables, lean protein like chicken breast, complex carbohydrates like oatmeal and some healthy fats from nuts or avocados. Same amount of calories, but in terms of volume, the person who ate the nutritionally-dense foods actually ate more and better, and still hit their calorie target. Empty calorie foods tend to be higher in calories, but lower in nutrients and volume. So you have to eat less (and feel hungry) when your diet is based on them in order to hit your calorie goal. This is one of the main reasons that so many people fail at fat loss. They think that eating less will cause them to lose fat. So they continue to eat their favorite junk food, but just skip a meal or eat less frequently. But nutritionally-dense foods are more filling, provide critical nutrients that can promote fat burning and general health and well-being, and typically allow you to eat more of them at the same calories levels. So clearly, just looking at calorie counts alone isnt enough. You have to look at the types of food you are eating, as well. So why count calories at all? The best reason to keep track of your daily calories is to get a better handle on what you are actually eating. Research has shown that many people underestimate their daily calorie consumption by as much as 25%. For a 1500 calorie diet, this can mean an extra 375 calories a day. Over the course of a week, this adds up to 2625 calories which is almost a pound of fat (1 lb of fat contains 3000 calories.) And the more processed and fast food people eat, the easier it is to consume more calories than your body needs. Keeping track of your food and calories each day can help you get a true picture of what you are eating, how much of it, and whether its nutritionally balanced. Notice I said keeping track of your food and calories, not merely counting your calories. There is a big difference. Unless you track the nutrient profile of the foods you eat in addition to the calories, you can easily fall into the calorie counting trap I discussed earlier. Remember, this is about what you eat, not just how many calories you eat. But Isnt Counting You Calories and Food Hard? In the past, keeping a detailed food journal with nutrient and calorie information was difficult thing to do. To be really accurate, you need to weigh your foods, keep a calorie-counting book handy and be pretty skilled with a calculator. However, keeping track of your daily food intake has actually become fairly easy over the past couple of years thanks to the Internet. There are dozens of free websites online that do most of the hard work for you, including SparkPeople, FitDay, DietTV, Calorie King and The Daily Plate. These sites look up the food from USDA nutrition or user created food databases, let you enter the quantity and pretty much do the rest for you with a click of a button. Most sites also provide you with tools to calculate not just your target calories based on your goals, but also your target macronutrients (protein, carbohydrates and fats), as well as track sodium, dietary cholesterol, fiber and vitamin and mineral intake. This can give you a very accurate view of what you are eating, the nutritional profile of your meals and yes how many calories you are consuming. All of these sites also offer exercise logs, which not only track your progress in the gym, but also help you keep track of calorie expenditure via exercise and daily activity. One critical piece to successfully tracking your daily food and calorie consumption is accurately measuring portions. You can eyeball it, but like calories, most people underestimate their portions. Supersized meals and giant portions at resturants have skewed peoples perceptions of what a serving is. So its not unusual for these misperceptions to find their way into a persons own kitchen, as well. The most accurate way to determine portions is to weigh it. There are inexpensive electronic kitchen scales that make this easy. All nutritional labels accompanying food (and nearly all online calorie and food tracking websites) provide serving data by weight (grams.) They will also often provide serving size by volume (tbs, cup, tsp, etc.) Volume is less accurate than weighing the food, but in a pinch its better than not measuring at all, or going by sight. 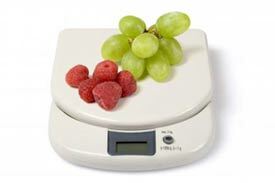 Buy an electronic scale and keep it on the kitchen counter with an empty glass bowl on it. This makes it easy to just throw your food in the bowl on the scale and measure it. If its dry food like oats, cereal or vegetables, you can simply rinse the bowl after each use. If you are weighing meat, poultry, fish, diary or eggs youll obviously need to wash it properly between uses. Also, keep a set of measuring cups handy as well as a two cup Pyrex measuring cup. These are very accurate when measuring liquids and dont require the scale. Once you start seeing what you are actually eating, it becomes simple to identify where your extra calories are coming from. But you have to do the measuring and tracking in the first place to discover this. Is Calorie Counting The Only Way to Lose Fat? You dont have to calorie count to lose fat. Highly fit people generally have developed a pretty good sense of the energy and nutritional content of their food and have become skilled (mostly from habit) to accurately determine portions. That said, most fit people have kept food logs at one point or another to help put these habits in place. Certain diet plans, like Jenny Craig or NutriSystem basically do the calorie-counting for you. These diets typically rely on pre-packaged, pre-portioned meals with a set amount of calories and nutrients. As long as you eat the meals they provide you, and in the daily quantity the prescribe, youll more or less hit your calorie targets without having to log every bite you take. And then theres Weight Watchers. Weight Watchers is basically a calorie counting diet that has been simplified by the addition of a point system to help you easily estimate calories. Each day you have a certain amount of points to allocate and higher calorie foods cost you more points. There are other nuances to the program, but at its core, Weight Watchers is calorie counting. They just simplify calorie counting and make it less tedious for people. While many people have had success with Weight Watchers, the diet still requires proper portion estimates to work and it is possible for you to blow all of your points on junk food. Still, it may be a good place to start if the idea of recording all of your food makes your head spin. Do I Need to Count Calories and Food Forever? Some people find that long-term tracking of their food is the best way to ensure that they dont slip back into their old habits. However, this requires a fair amount of commitment and discipline, which many people simply dont have. Online tools have made this easier, but it still takes time. The most effective strategy Ive found is to cycle food and calorie counting. Try weighing and recording all of your meals for two weeks minimum to establish a baseline. This will usually be long enough to identify those weak links in your diet and will allow you to start getting a true idea of servings and portions. Based on this information, make some adjustments to your servings and measure your fat-loss progress. Give yourself an additional two weeks of calorie and food counting, which will enable you to develop some new habits around portion size. Eventually, youll find that you can estimate servings pretty accurately by sight alone. Once you feel like you have a pretty good handle on portion sizes and how much (and the types of food) you need to be eating to hit your diet and calorie targets, you can back off on the tracking for a while. If you feel like you are hitting a wall later with your fat loss or fitness goals, or if your portions start to become larger again, go back to tracking your food for a week or two to reset your serving sense. Personally, I tend to do meal and calorie audits about four times a year for one month. This seems to be enough to reset any misperceptions I might have developed around portion size while not actively tracking every gram of food I eat. It also lets me spot certain nutritional gaps I might have developed, for example increased sodium intake or decreased dietary fiber. When Does it Make Sense to Count Calories? Keeping a diet log and tracking calories is also one the first tactics your should try when you hit a fat-loss plateau, since it can expose some of the weak areas in your diet where you may be overeating. If you are just beginning to clean up your diet and trying to eat more healthy, keeping track of your food and calories can help you become a more educated eater and make better choices regarding which foods you choose and what a serving actually means. 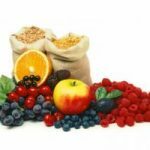 Also, if you are a competitive athlete or serious body builder, diet logs can play a critical role in making sure you are providing yourself with the right levels of energy and nutrients, without gaining too much body fat in the process. Finally, keeping track of your food, either by through a diet journal or by a more simplified method like Weight Watcher points will quickly show you that there are certain foods like vegetables that you can eat large volumes of without significantly impacting your total energy consumption for the day. And since these low-calorie foods are often some of the best for you, it will encourage you to eat more of them. I started counting calories again after I hit a plateau, which was a good thing, because I found I was not eating nearly enough calories! It is so true. This article is written very well. I also use bitelog.com, another site for tracking my food. Valeri, youre right counting your calories can definitely be work, but as you point out, it does have its advantages. I think the biggest advantage is that it lets you get a sense for what you are really eating, how much and where some of your “weak points” are. Portions in the U.S. keep expanding at rate that is about equal to our increasing waist-lines, so many people have an extremely skewed view of what an actual serving is. Counting and measuring your food even if just for a few weeks can help give you a reality check when it comes to servings. Congrats on your fat loss and I hope youll stop by again. Thanks for your sharing.. Losing weight is simply a matter of expending more calories than you take in, through exercise and your daily activities. To win the battle, it helps to know how many calories you are consuming in a day. Although you made some intelligent and balanced comments, I believe that all that is necessary is becoming aware of what you really eat. Then, reduce your portions (of meat) by about 20%. To eye it is not very difficult. To ward off still feeling hunger, increase the portions of vegetables and fruit. Of course, reading labels and educating yourself along the way about calories is critical. Bless you if you can maintain a habit like weighing food or keep logs (even in cycles). I compare that to parolees wearing monitoring ankle braces! I believe that the most effective way for long-term weight loss is do undertake small, slow changes that you will be able to maintain in your lifestyle. I speak with authority, entering my third year of a 40 lb weight loss (which actually took two years I was patient and had the long-term in mind. Most people are too darn impatient and want to be rescued). Completely agree with the pro-counting lobby. I lost 14kgs in 5 months and have kept it off in the past 3 months through calorie counting. But whenever I mention it to others they suggest that calorie counting is a touch obsessive. I have come to the conclusion that in order to serously lose weight and then keep it off you do have to be obsessive. I have developed my own principles behind losing weight – no charge, free, and not trying to sell you anything, they are on my website http://diet.mondrop.com – please take a look and let me know your views. The main principle after calorie counting I had was not to eat breakfast before 9.30am. This meant I could easily get through to a late lunch and then a nice dinner. Even had plenty of opportunities for little freebies, such as wine or beer or a small pudding occasionally. One thing I would really like to touch upon is that weightloss program fast can be achieved by the right diet and exercise. An individuals size not simply affects appearance, but also the overall quality of life. Self-esteem, despression symptoms, health risks, plus physical skills are influenced in excess weight. It is possible to make everything right whilst still having a gain. In such a circumstance, a problem may be the perpetrator. 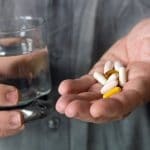 While a lot food and not enough work out are usually responsible, common medical conditions and trusted prescriptions could greatly help to increase size. Thx for your post in this article gywl512. Shouldnt your metabolism be taken into account when calorie counting. If you have a higher metabolism doesnt it mean you need to take in more calories as your body burns through them faster?